Shea Butter lip Balm Vanilla ORIGINAL FORMULA Made in USA "PROMO inside "
Shea butter lip balm Cappuccino ORIGINAL FORMULA Made in USA "PROMO inside "
Shea butter lip balm Red Tango ORIGINAL FORMULA . Made in USA "PROMO inside "
A Long Lasting Relationship…Karite Lips Shea Butter Lip Balm with Vanilla extract. In 1990 Mode de Vie developed a lip balm with a high percentage of Shea Butter. 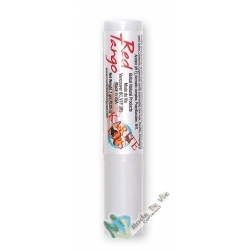 Lip Balm with Vanilla moisturizes and protects your lips without dooming you to an endless cycle of re-application. Not only does Shea Butter moisten and protect your lips, its high concentration of special ingredients Cinnamic acid , Latex, Unsaponifiable matter and vitamin) helps to provide a protective barrier from the harsh elements, locking moisture into the skin of the lips, while preventing them from drying out and becoming chapped..
Shea Butter is legendary for its moisturizing and emollient properties. 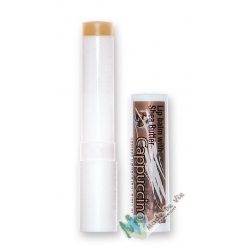 It provides superior protection for dry and wind chapped lips, helps protect from extreme weather conditions and is long lasting, thereby not requiring frequent application. 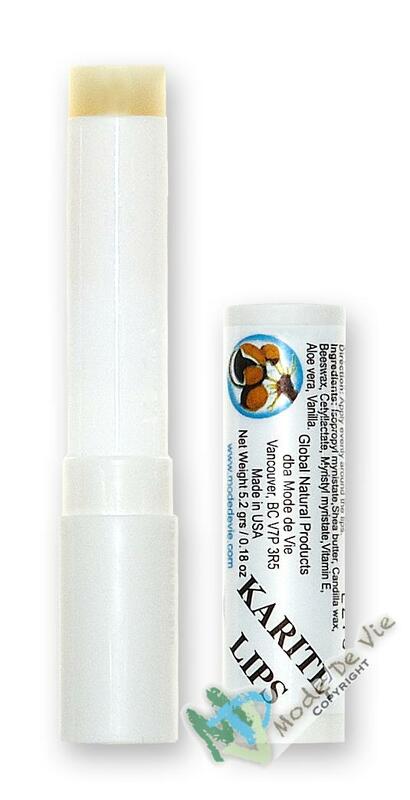 Karite lips has a high concentration of Shea Butter, a vegetal base & real vanilla flavor. Leaders in Shea Butter Since 1990. Lip Balms a unique and beneficial vegetable emollient which gives maximum moisture and long lasting protection to your lips against natural elements.